Manage the stuff and things you require for pet care and safety using rustic pallets! 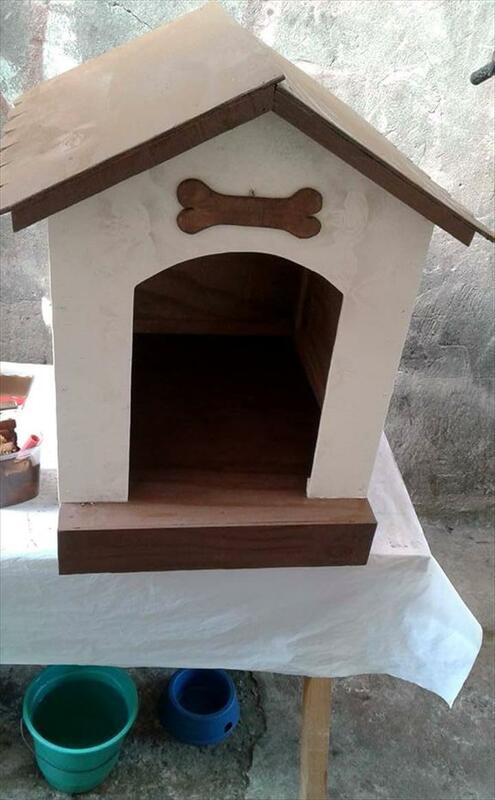 Go smart with pallets and build the custom pet stuff at home like the custom pet playing stations, pet houses, pet beds and also the pet feeders! 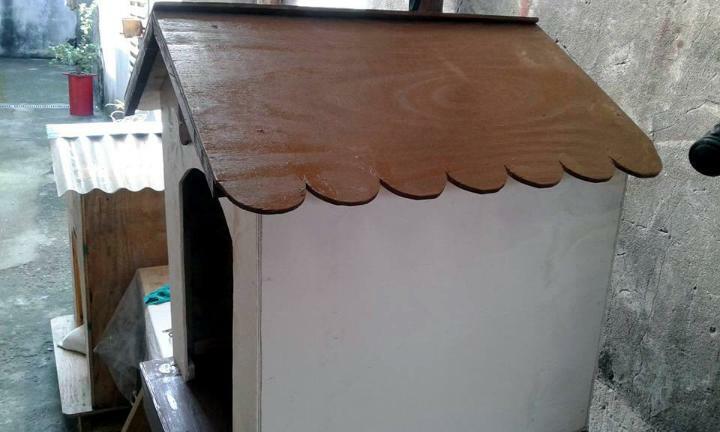 Before you go for an expensive purchase of a dog bed we would like you to put a glance at this DIY pallet dog house that is a free of cost, stylish and easy-to-build also! Keep a little stock of pallet slats in possession if you are interested in duplicating this handsome layout of dog house! Build a wooden box like shape and just finish it with a chevron roof! Plan the flat slats of pallets for building the frames for each wall, floor and roof of the dog house and just finish them smooth with plywood sheet panels! Here plywood chevron roof comes with round edges just for a fancy visual! 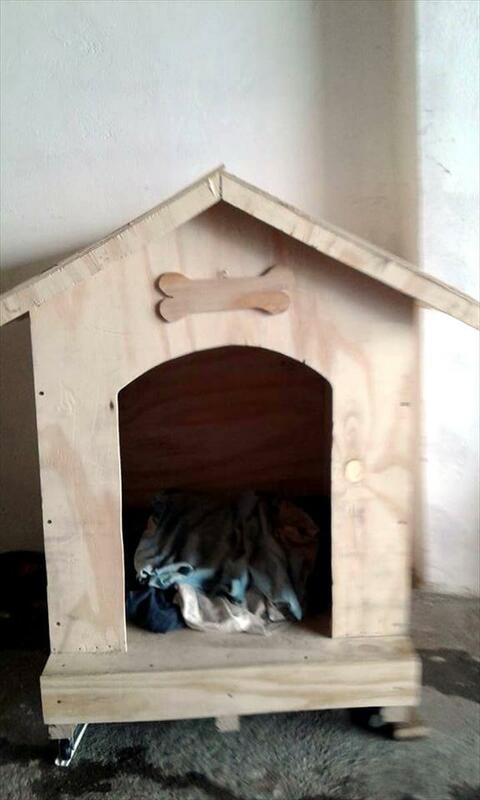 Cut a wooden dog bone out from a plank or from a leftover plywood sheet and just mount it on front wall of the dog house for a more exclusive and personal visual of the dog house! Figure out the dimension plan for your dog house by having the size of your dog in mind! Now just start integrating the pallet slats to build your pallet dog house! Start from building the base! 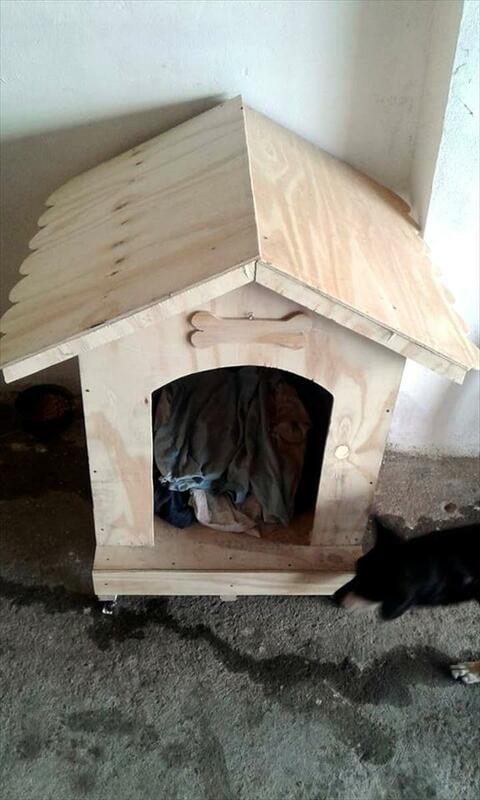 One can use a whole pallet board as base of the dog house! Install the primary first and then fill it solid using plywood! Install the roof frame and cover the roof also with plywood sheet panels having round accent cuts on their edges! 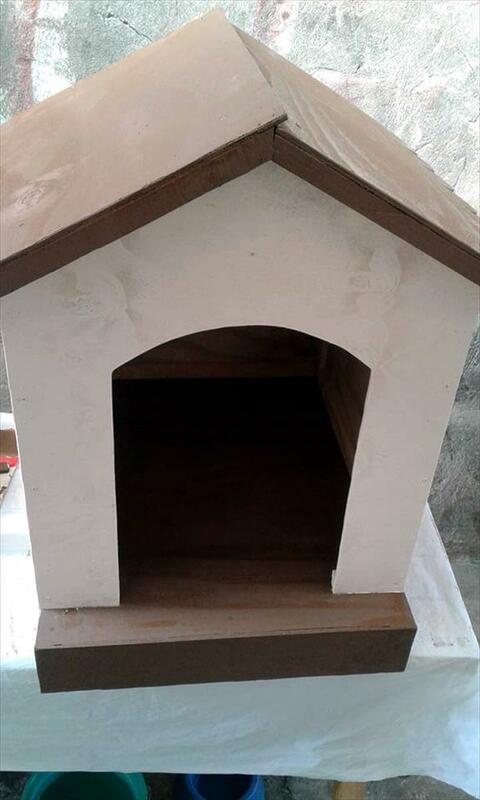 Paint your finally finished dog house in a custom combination of paint colors! Here roof and bottom have been painted stained in dark brown while rest of body has been painted in white! Don’t forget to mount a dog-bone sign on the front wall just a little below the chevron roof! Tie a dog rope and just gift it to your dog!